It'll definitely be a merry Christmas for one man who was making his way to work at a popular shopping centre in South, Trinidad and left with more than just his salary, more like, a $10,000 prize. 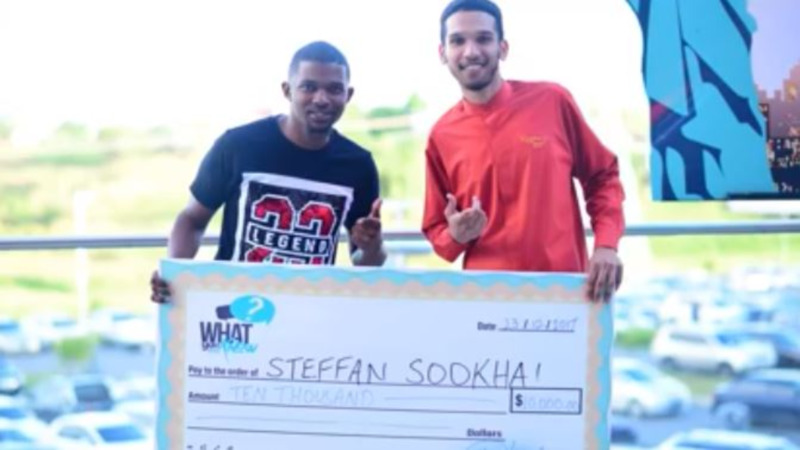 It came as an easy win for 20-year-old Claxton Bay resident Steffan Sookhai, who had to grab a seat in a game of musical chairs and answer the most questions among five people, to leave with the cheque. It all started with the popular social media series 'What Yuh Know?' which took its pre-Christmas show to MovieTowne at C3 Centre located at Corinth Road, San Fernando yesterday. Host, Daniel Loveless, urged patrons to participate in a game of musical chairs in the first round of the game. With only five chairs, those seated got an opportunity to vie for the money. 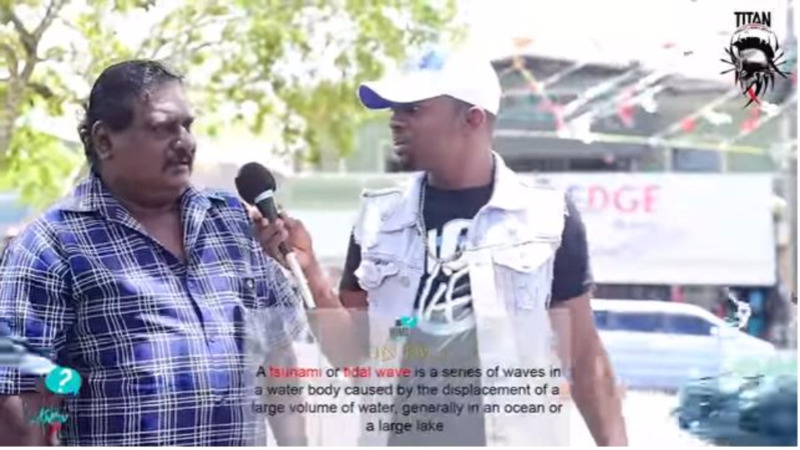 The five participants included Sookhai, Chavez Sealy, Missy Samantha Harripersad, Anthony Deosingh, and one contestant who only identified himself as 'Antonio'. The five had two minutes to answer 10 questions which saw Harripersad and Antonio knocked out of that round. The second round saw the remaining three contestants with two minutes to answer 10 questions. Deosingh was knocked out and lost his opportunity to win the prize. The final round was a standoff between Sookahi and Sealy who both had five minutes to answer a series of questions. In the end, Sookhai won. Speaking with Loop TT one day later, Sookhai, an employee at Rizzoni's, expressed his happiness to have won the competition. He said he never imagined that this Christmas would be his best yet. "I'm very glad I got this opportunity. It's actually Christmas come early for me. One of the best Christmas gifts I could ask for." What will he do with the money? Well, initially Sookhai said he would surprise his mother with the purchase of a standing chiller. 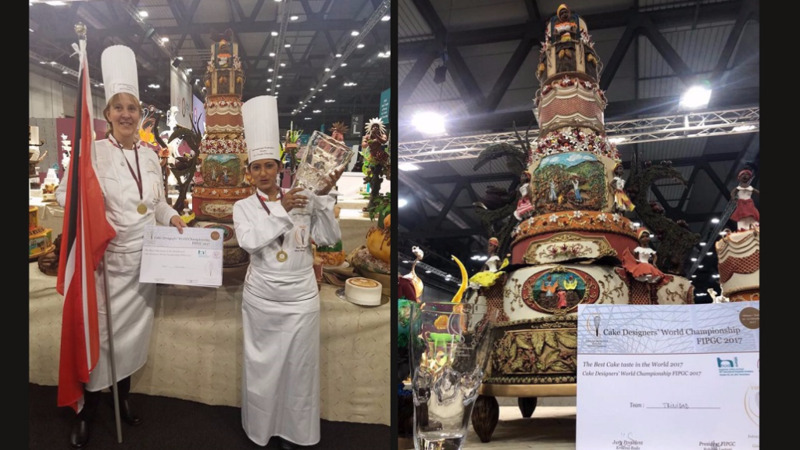 However, news of his win got to her before he could and so, he will grant his mother's wish by buying the appliance and he plans to bank the rest. 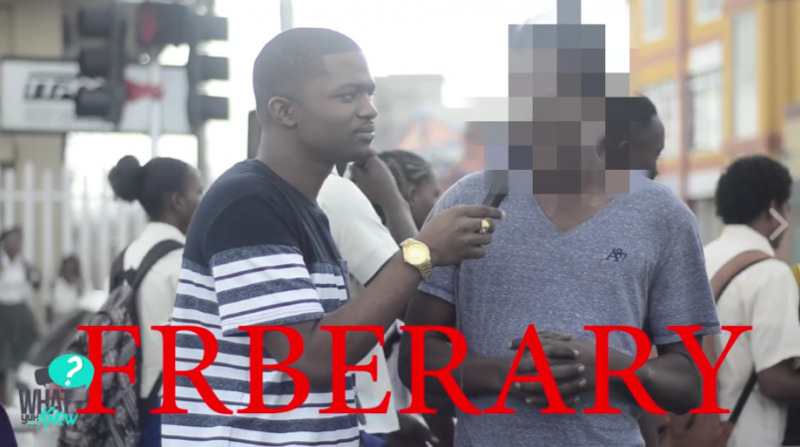 The 20-year-old said he has always wanted to participate in the 'What Yuh Know?' competition as he found the questions to be "common sense". Next year, he is expected to attend the University of the West Indies St Augustine Campus in pursuit of his Bachelors of Science Degree in Agriculture. This win, coupled with his savings from his part-time job, he hopes will assist in this venture.